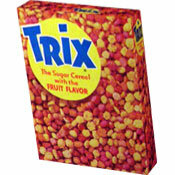 This is a cute cereal. 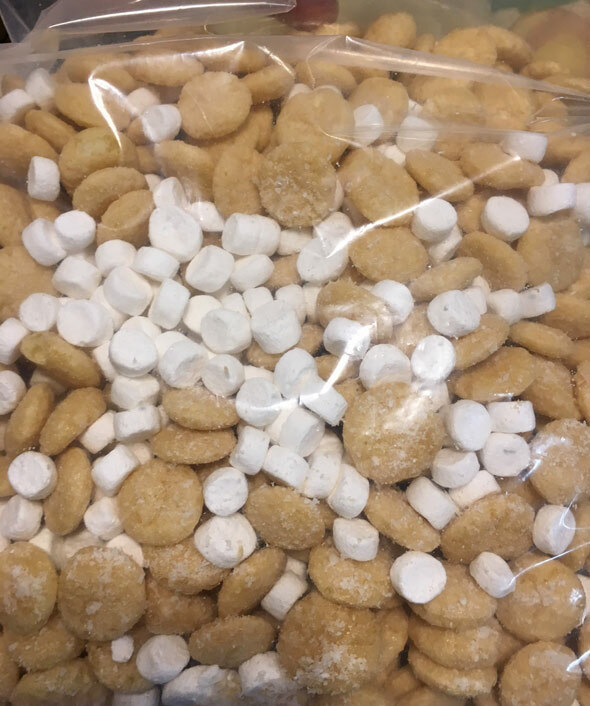 The main pieces look like the Nilla Wafer cookies the cereal is based on. When you open the box, the smell of artificial banana is very intense. When eaten dry, the flavor of the wafer pieces seems very artificial. As opposed to genuine banana, they taste like imitation banana flavored taffy. You can barely sense the main ingredient of corn amidst the overpowering synthetic banana flavor. Interestingly, the nondescript white marshmallows taste EXACTLY like real marshmallows (ala Jet-Puffed brand). This cereal has A LOT OF MARSHMALLOWS. 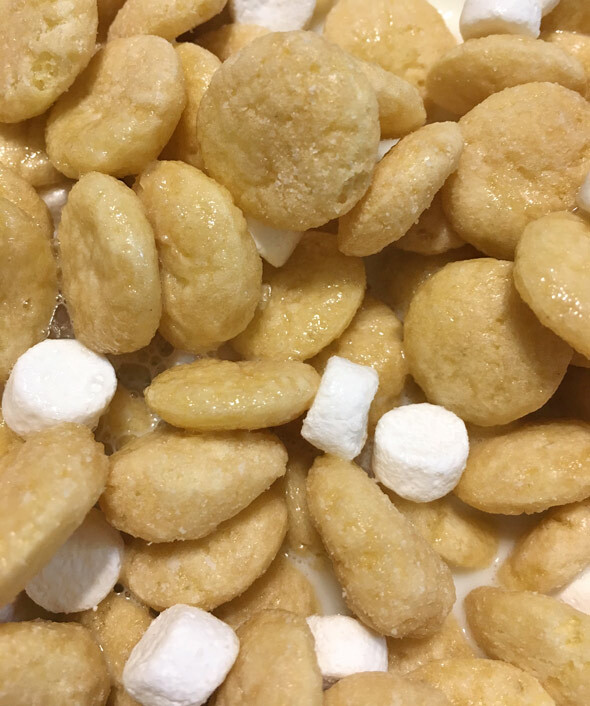 It is very rare to get a spoonful of the cereal without a couple marshmallows in it. When eaten with milk... almost magically... the artificial feel of the banana flavor is cut in half. Suddenly, the flavor of cookie starts to come through. The marshmallows counter the light crunch of the main pieces to add a creamy, pudding-like element to each spoonful. This is a strange case of "the more you eat, the better it is." As the texture of the wafers soften, the banana flavor seems more real. By the end, you get a real sense of banana pudding or banana cream pie. The milk left at the end of a bowl tastes like Jell-O brand instant pudding. The cereal stays somewhat crunchy for about 5 minutes in milk, but it's best when the pieces soften so let it soak a minute or two before eating. I recommend you give this one a try. 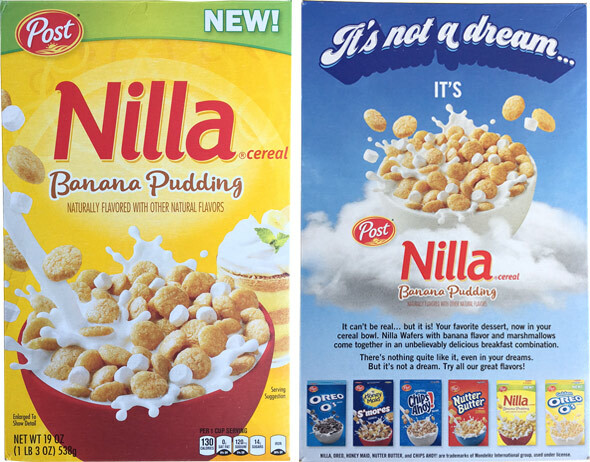 Nutritional Considerations: Each 1 cup serving of Nilla Banana Pudding Cereal has 130 calories, 2 grams total fat (0 saturated and 0 trans), 0 mg cholesterol, 120 mg sodium, 28 grams total carbs, 0 grams dietary fiber, 14 grams sugar and 1 gram protein. 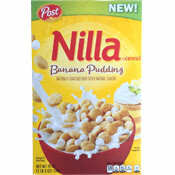 What do you think of Nilla Banana Pudding Cereal?